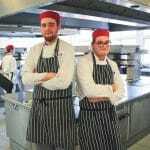 Stratford-upon-Avon College offers a range of vocational courses including BTECs. 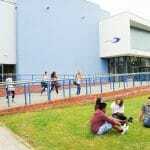 The following video, created by our merger partner Solihull College & University Centre looks at popular misconceptions and explains how for many students, BTECs, or other similar qualifications, are the best choice for securing the future they want. 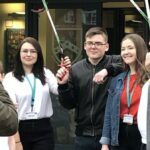 Vocational courses such as BTECs are largely assessed via coursework and practical projects rather than a number of big exams at the end of the year. They focus on teaching the specific skills needed in a particular subject area to succeed in the industry – something which is highly attractive to employers. Level 3 extended BTEC Diplomas are the equivalent to 3 A-Levels, so are a great route to university. Ninety-five per cent of higher education institutions in the UK accept BTEC students, including Russell Group universities*. A new study by London Economics indicates that university graduates who only studied vocational qualifications at college were more likely to be in employment than those who had studied purely academic qualifications like A-Levels. Graduates with BTECs had an average full-time employment rate of 80% compared to A-Level only graduates with a rate of 74%. Figures showed that graduates who had studied BTECs at school and college were on a par with their A-Level peers in terms of the jobs they subsequently secured. On some measures they did better – more BTEC only graduates were found to be working as managers, senior officials, or in associate professional roles, compared to A-Level only graduates. Study a BTEC or similar qualification at Stratford-upon-Avon College this September! *(Source: HESA). The Russell Group consists of 24 leading UK universities committed to maintaining the very best research, outstanding teaching and learning, and unrivalled links with business and the public sector.